We’re excited to feature Lizzie Bland, founder of Lean Bean Fitness and Lean Bean Retreats and winner of the 2018 ClassPass Customer Champion Partner Award, for this post! A longtime dance and fitness enthusiast, Lizzie Bland founded Lean Bean Fitness (LBF) after graduating from Urdang Dance Academy, a prestigious school in London, and moving to Sydney. Her teaching experience includes personal training, pilates, barre, yoga and boxing. 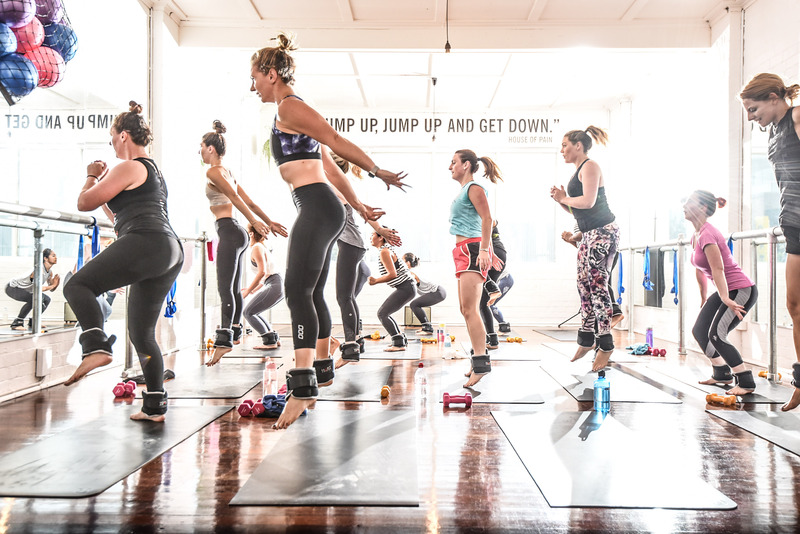 Bland knew her passion lied at the intersection of fitness and community, which inspired her to start LBF ​in 2015 ​as a boot camp overlooking Australia’s iconic Bondi Beach. Understand what community means for your studio. We would love for anyone who steps foot in the doors to feel welcome and like they are working out with a group of their best friends. Recognize that community is a powerful way to differentiate your brand. Community is one of the most important ways your studio can set itself apart as unique. “In the flooded world of fitness, it can be easy for workout styles or training methods to be similar; however, a genuine community cannot be copied or replicated,” says Bland. When members feel invested and believe in a studio’s mission and messages, they are more likely to be long-term, loyal members of its community. Leverage ClassPass to build community. Once a client experiences LBF for the first time via ClassPass, Bland and her team immediately consider them an integral part of their community. “We treat our ClassPass clients just like our members,” she says. “So many of them become ‘regulars’ through their once weekly ClassPass visit that they feel like members anyway. We are realistic in understanding that we have clients from a wide range of platforms these days, and that clients come and go all the time.” Bland and her team welcome anyone who sets foot into her studio as a valued member of the LBF community, whether it’s their first visit or 100th. Seek and embrace customer feedback. Bland believes all feedback and reviews—both positive and negative—are a helpful and crucial part of LBF’s development and growth. Her team makes it a priority to respond to all comments and feedback on ClassPass. “In this day and age, a comment or inquiry online is not too different to speaking in person, so responding is just natural,” she says. “Additionally, as a small business, getting positive reviews makes the world of difference in growing our brand so if someone takes the time to write something kind, we want to thank them in a personal way.” Online engagement shows potential customers that you’re dedicated to client satisfaction and gives them a better idea of what to expect when coming to your studio. Encourage your instructors to engage with members in an authentic way. Interested in signing up for ClassPass? Visit our Partner Page to learn more.